The days may be getting shorter and the nights getting longer, but the pace certainly isn't slowing down at the RA. 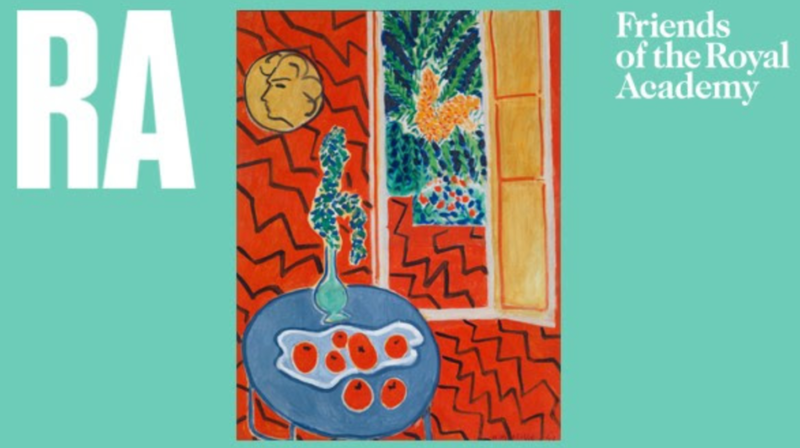 November is jam-packed, with events, from Matisse-inspired art theory courses to talks by internationally renowned architects and excursions to see contemporary art in extraordinary locations. With all this and three five-star exhibitions filling the galleries, there has never been a better time to be a Friend of the RA.